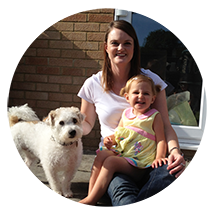 We are an independent, small, family run business offering a trustworthy, reliable, and caring service to all the dogs in our care. 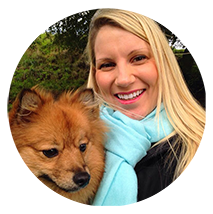 We provide Dog Walking and Pet Care Services to: Long Ashton, Ashton, Bedminster, Southville, Stoke Bishop, Westbury On Trym and other local areas. We are dedicated to the animals entrusted in our care. As dog owners ourselves we know how important the little things are to your dog's day, whether its putting the radio on, filling a Kong or fluffing their bed! We feel privileged to look after your dog and love spending our days with them. We are a small, family business, not a franchise. You will meet each dedicated member of our team and we will deal with all communications personally. We only ever walk a maximum of four dogs per walker at a time, in order to provide the best possible care and attention to each dog. In addition, each of us are trained in basic pet first aid. After each walk you will receive a text detailing your dogs walk, including location of walk, drop home time and any information we feel you should be aware of. We offer free registration where we come to you to meet you and your dog. Once registered you will have access to our full range or services, which we only offer to our regular clients. These services include Day Care and Home Boarding. You will have peace of mind that your dog is with someone they know and are familiar with. We only ever Home Board one dog at a time to ensure a calm home environment. Helena and Marion from Dog Tales have made my little man’s life so much happier. Dexter Dog loves his group walk where he gets a good run (round and round in circles) with his friends to break the day up while I’m at work. The service Dog Tales provides is invaluable, they are flexible, professional and I couldn’t be without them. I particularly like getting a text message when Dexter Dog has been dropped home, and seeing pictures and videos of him enjoying himself on their Facebook page. I would recommend Dog Tales to anyone and everyone! It gives me fantastic peace of mind knowing Keira is having fun and being cared for while I'm at work. I have also loved hearing about where she has been and seeing the pictures of her on facebook. It is very clear to me that she loves her time with you and the dog gang. We invoice our clients at the end of the month via email (if appropriate) and we ask for payment to be made within 7 days. Payment can be made by bank transfer, cheque or cash. If home boarding is required we ask for a 25% non- refundable deposit of total fee to secure booking.